Wazee Digital, a provider of cloud-native video management and licensing services, today announced it has incorporated new ecommerce capabilities into its Digital Media Hub digital asset portal. The new capabilities allow Digital Media Hub customers — mainly, content rights holders and content creators — to monetize their content through a shopping cart that enables self-serve checkout or guided, quote-based check out. Digital Media Hub is a powerful, centralized, software-as-a-service solution that allows captured video content to be in a central location and made immediately available for global access. 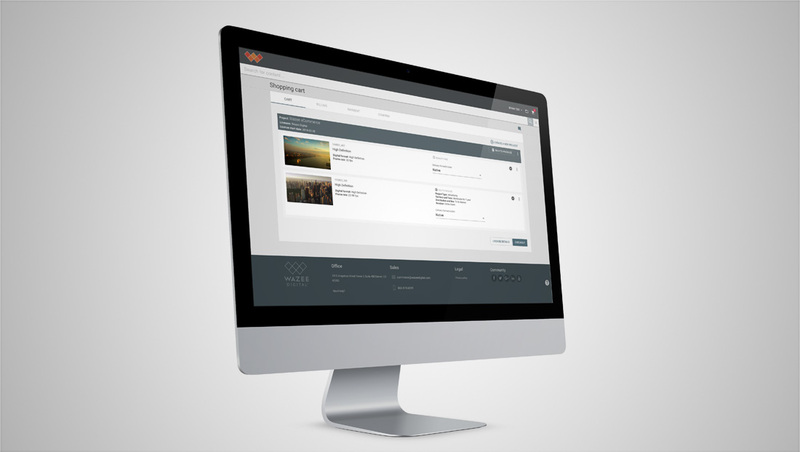 Through Digital Media Hub’s elegant user interface, customers can acquire, enhance and distribute media gleaned from production, postproduction, marketing, and even live-event environments. Digital Media Hub is powered by Wazee Digital Core, Wazee Digital’s enterprise SaaS asset management platform built specifically for the cloud, through which users can search, manage and monetize digital content. Content is captured and ingested directly into Core in near-real time, and once the content enters Core, users can begin working with it in Digital Media Hub immediately and make it available through a permission-based hierarchy to global stakeholders, such as media, partners and sponsors. The solution gives users a simple way to ingest and share content quickly with those who need it through a simple user interface, rights holders get a scalable, 100 percent cloud-native licensing platform that can be configured to meet their branding and business needs. Once configured, rights holders can allow users to purchase content through the shopping cart. Importantly, the cart is permission-based, meaning that within the same Digital Media Hub, different users can have different permissions associated with their accounts. For example, one user can have permission only to purchase content, while another user can have permission to access and download master content without purchasing.